No matter what industry you’re in, it’s always a good idea to stay one step ahead of your business, your clients, your customers or your marketplace. 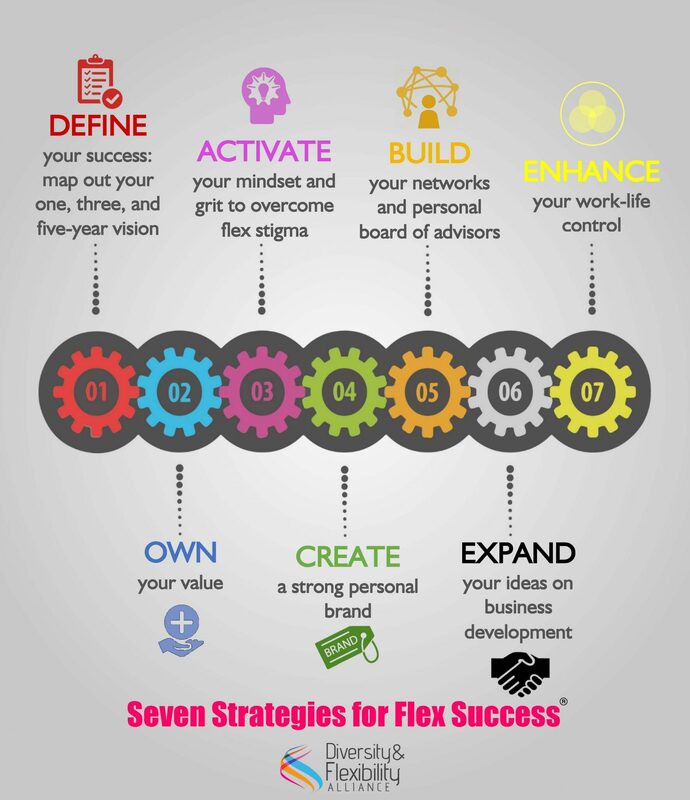 This is the sixth in a series of seven blog posts featuring advice on our Seven Strategies for Flex Success®. We’ve covered Defining Your Success, Owning Your Value, Activating your Mindset and Grit, Creating Your Brand and Building Your Network. Next it’s important to expand your business development efforts. To learn more about successfully navigating your flexible schedule and maximizing your career potential, register for our virtual Flex Success® Institute. No matter what industry you’re in, it’s always a good idea to stay one step ahead of your business, your clients, your customers or your marketplace. You always want to be thinking about tomorrow and where your career is headed and where your income is coming from. While you might approach business development in a slightly different manner in light of your flexible schedule, it’s still imperative that you dedicate time to business development and to generating your future revenue. The sixth strategy in our Seven Strategies for Flex Success® is Expand Your Business Development. Whether you’re working with clients or reporting to internal supervisors, make sure you’re demonstrating a deep understanding of their needs, business realities and serving as a trusted advisor to help them accomplish their current and future goals. To help you build future clients, projects and customers, you should turn to the network of colleagues, mentors, sponsors and former classmates that you built in the Fifth Strategy. This network can help you expand your reach and enhance your ideas on business development, key elements to creating more autonomy in your career and ultimately greater work-life control. You may be concerned about investing time in business development when you’re working a reduced hours schedule and therefore already have less time for work. However, many professionals working a reduced hours schedule have told us that their flexible schedule has allowed them to excel at business development and, in fact, has become integral to their career success. It’s important to incorporate time into your flex schedule for business development as well as for activities that will raise your personal profile such as speaking engagements, publishing articles and papers and networking. Identify a window of time each week to devote solely to business development. Maintain your connections and network of colleagues, mentors, and former classmates, by attending reunions, networking events and industry events. Consider business development opportunities in every part of your life (social events, your children’s events, family interactions, dinners, the gym, etc). Consider the value of speaking opportunities and article or guest blog placement. Use social media like LinkedIn to network daily. Focus on your unique strengths and specialties when seeking new projects or clients. Register today for our Flex Success® Institute and you’ll participate in five virtual webinars, as well as one private coaching session with Alliance CEO Manar Morales to specifically address your unique challenges.